I got featured on Etsy! Today on @etsy, my cactus hand print video has featured! Wow I’m so surprised and of course so happy! Thank you for your support. Keep creating! 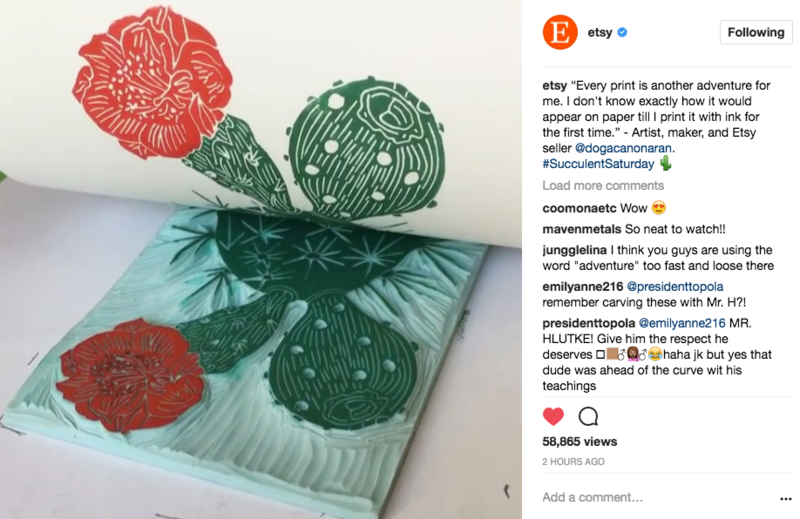 Bugün Etsy Instagram sayfası, benim kaktüs videomu yayınladı! O kadar mutluyum ki!